Stomper Lee's day was spoilt early yesterday morning (Mar 15) when he encountered a rude GrabHitch rider he had intended on giving a lift. 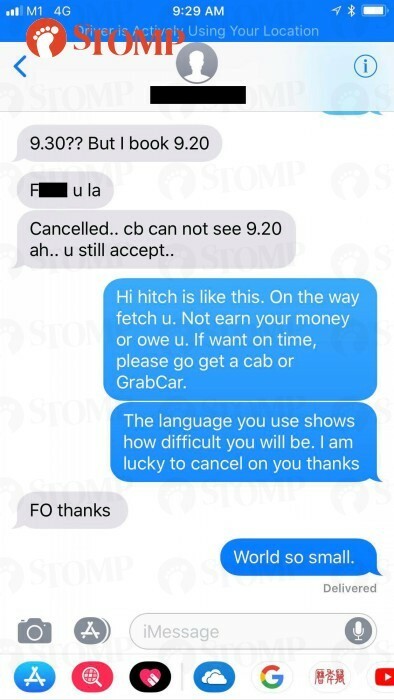 Lee told Stomp that the rider had requested for a GrabHitch ride from Block 367 Woodlands Avenue 5 to PSB Academy and to be picked up at 9.20am. When the rider asked Lee if he could pick him up at 9.15am instead, Lee said that he could only pick him up at 9.30am. This seemed to trigger the rider who replied to Lee with vulgarities. "9.30?? But I book 9.20. "Cancelled.. cb can not see 9.20 ah.. u still accept.."
According to Grab's website, GrabHitch is a social carpooling service which matches non-commercial everyday drivers to riders going the same way. "Hitch drivers are NOT in this for profit-making - they're ordinary commuters just like you," their website says. "By giving fellow riders a lift, they get to cover a portion of their petrol cost. That's all!" 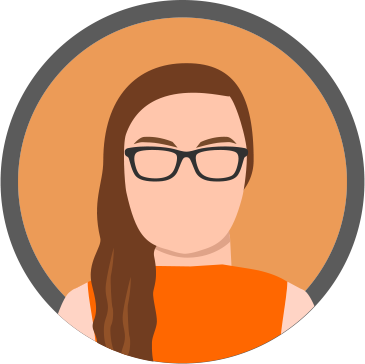 GrabHitch rides are booked in advance so that drivers can fit in riders into their schedules. Generally speaking, those who are in a rush should not take carpooling rides like GrabShare or GrabHitch but should instead book GrabCar or JustGrab rides. Lee told Stomp that he has never encountered a rider like this before. "Everyone always replies it's okay when I tell them I can only pick them up slightly later than their stated time," he said. "He made me feel damn angry early in the morning."